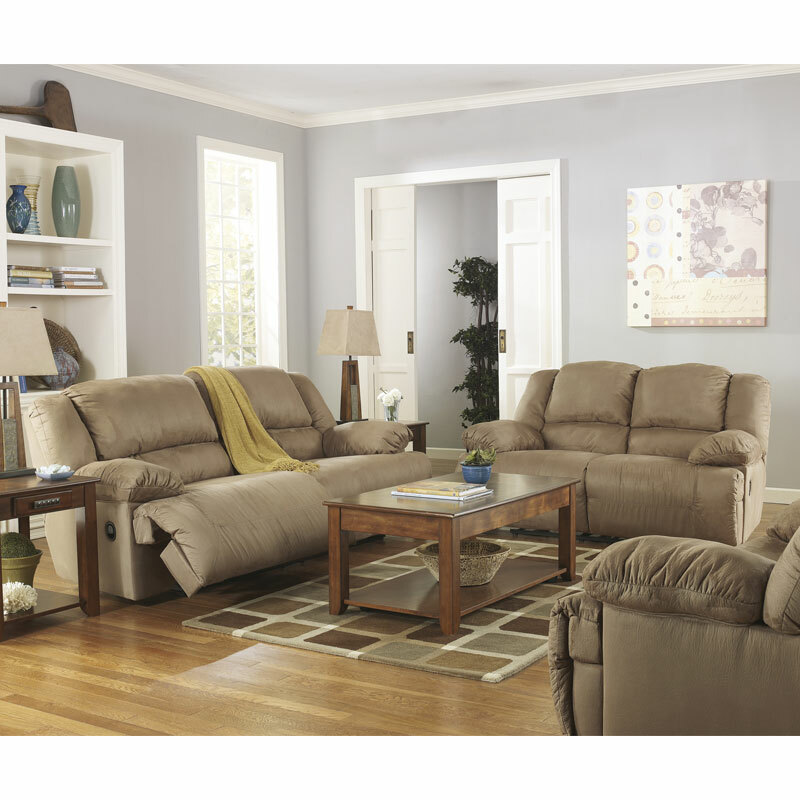 With supremely padded back, seat and arm cushions, the Hogan reclining sofa & loveseat is the hero of comfort. Microfiber upholstery is soft and sumptuous and the extra-wide seat is large enough to practically accommodate the whole family. Recline the back and kick up your feet to bolster your comfort level even more.